You may find CBD in anything from an ice-cream to gummies these days, and there is a reason for it. 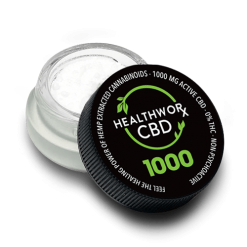 CBD’s demand is on the rise because of it’s anxiety reducing, pain relieving and seizure minimizing properties. Its characteristics are doing a great job at overcoming these problems, so henceforth people are flocking at the prospect of buying CBD products. If you already did not know, let us tell you that CBD is now legal in many states of the United States of America. Therefore there will be no hassle legally if you possess it. It is not labeled as a Schedule 1 substance, which is prohibited for any use in the USA, but just as Schedule V substance by the Food and Drug Administration (FDA). It means you can buy it but not produce it or cultivate it yourself. The thin line between the research of different strains and its effects on the users has become evident. Thus, it is becoming increasingly important for individuals or drug administrators to distinguish the strains of cannabis that are medical in nature but produce varying degrees psychotropic effect. CBD belongs to the group of cannabis strains that are indeed medical in nature but produce lesser psychoactive effects than other strains. More secondary psychiatric activity means that the high which most drugs produce in human beings is way less, which is way less in CBD. This is why CBD is being used as medically and recreationally, and its legal status is changing gradually. We like most people need our coffee fix for better mobility of the neurotransmitters in our brain. This is what coffee does as it makes us alert, better worker due to the new found spark of focus and it also induces more motivation to work. Every day thousand or maybe millions line up in the queues, which lead to baristas before heading off to their work. Whether Dubai or New York, Starbucks aficionados will head into these cafes for a cup of coffee, latte or cappuccino. They will do it before work, no matter what. Some people will have their coffee maker, and the ones who have lots of money to spare will import certain beans of coffee that are rare to find. However, forget Kopi Lowak (one of the most expensive coffees in the world) and make some way for the CBD coffee. This CBD infused coffee is very different from the usual coffees. It has all the benefits of a coffee, and the disadvantages that relate to coffees are absent in here. Let us explain thoroughly. You see while the coffee will give a higher frequency of alertness it also makes you prone to or creates a tendency for anxiety. It is dangerous for people who are already suffering from anxiety-inducing mental disorders. Coffee makes you more prone to nervous breakdowns and panic attacks related to these mental disorders like PTSD and attention deficit disorders. One of the solutions can be the CBD coffee because of its chemical properties that make you alert like the usual coffee but less prone to anxiety-inducing episodes. CBD has been known to decrease the effects of pain, seizures and other serious ailments but also reduce anxiety drastically. As CBD is legally being used for treating the effects of epilepsy, pretty soon it will be available for use as a coffee all over the world. A psychiatrist at NYU Langone named Esther Blessing studies the effects of PTSD (Post Traumatic Stress Disorder: anxiety-inducing disorder). She says that CBD Coffee and its effects do indeed induce calmness and relaxation when drinking this type of coffee (excerpt from The Cut, New York Media). When a doctor of her stature has given her blessing, then there is no point in fussing over the decision of using it or not. Moreover, all you have to do is, change your usual coffee no matter what kind of CBD Coffee it is. Dr. Robert Carson also agrees with Dr. Esther’s claim that CBD infused coffee does indeed reduce the jitters that associate with ordinary coffee. He also says that rather than canceling the effects of coffee intake, CBD seems to complement its impact. Dr. Carson is a pediatric neurologist who studies and treats the effects of epilepsy in children at Vanderbilt University. CBD is one of the most renowned compounds of cannabis, perhaps even more so than marijuana nowadays. CBD is also one of the compounds that are not that much psychotropic as other strains of the cannabis plant. This means much like hemp (which also belongs to the same group) it does not make you high. Ever since Dr. Ralph Mechoulam, an Israeli scientist and his team discovered the chemical structures of THC and CBD in the brain, things have come a long way. The endocannabinoid system has been found in the brain. This system is what controls the effects of mood, anxiety, and depression. Like many systems of the brain, it has specific receptors that respond to specific electrical messages to initiate a response. This is how the brain communicates, and the endocannabinoid system has many cannabinoid receptors. CBD releases cannabinoid chemicals in the body once it receives electrical messages from the brain that we are using CBD or CBD coffee. Therefore these chemicals that are released affects our reactions like different moods swings or anxiety. As per many studies that were done on CBD’s effects on a human brain CBD is linked to positive chemical responses related to stress, pain, and seizures. CBD has become famous for treating ailments like seizures, anxiety, excruciating pain, and cancer. Couple it with Coffee (which also some mood lifting properties) can seriously help with many of these diseases. It also subtracts the adverse effects of the long term coffee drinking. Many Doctors like the ones mentioned above are all singing praises of CBD coffee. This should alone be sufficient for you to know that the combination of CBD and coffee is a match made for each other. We mean, they complete each other! However, we will emphasize a little for your sake. You might think that CBD is stigmatized by opportunists and because of its relation to cannabis while Coffee has a clean record medically speaking. You cannot be more wrong about both of them. Sure, CBD is stuck in the development hell of legal legislation but what you did not know is that excessive coffee intake can be seriously harmful. It can induce insomnia, anxiety, high blood pressure, can cause irregular heartbeats and indigestion. Adding CBD to the mix can help with the expelling of serious effects relating to higher coffee intake. CBD usually is also not known for side effects that adversely affect your health. While coffee is lovely for waking us up on an early morning, the CBD though helps us with treating the adverse effects of heavy coffee drinking. It is the best CBD coffee if a great CBD oil and excellent tasting coffee are used. On many CBD blog sites, there seems to be a trend of users asking about how to make CBD coffee nice and very quickly. Well, fortunately, we are here to help you with it, so let’s get on with it. Many of these blog sites suggest that CBD or similar strains of cannabis (like hemp) is now legal in all 50 states of the USA. That means you can buy CBD coffee or just the CBD oil (for our purpose and instructions here). First thing of note is that while Cannabis is rich is in THC, CBD only has it in low concentration. This means that CBD in your coffee will not make you high at all. Now this out of our systems, we shall begin with our instructions on making CBD coffee. 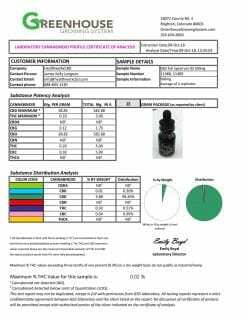 The second thing to do is that you shall make sure the CBD coffee or oil that you may be buying should be from a reputable company. 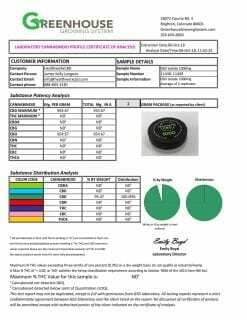 They should be selling safe and quality products of CBD. Now that we have the ingredients covered, we shall begin with our actual instructions on making a CBD coffee. Add the coffee in your favorite mug, stir and mix it with an electric mixer (or manually if you want). An electric mixer though is suitable for creating a nice frothy coffee. Moreover, that’s it! The instructions were only these just because that was just all but be sure mix it vigorously. You can also add butter to combine for better tasting if MCT or Coconut oils are not available. There are many coffee brands, and CBD coffee brands are available in the market, but we do not know what brands susceptible or not. In this case, It is a good idea to get CBD from a reputed brand of Cannabinoid oil and an excellent brand of coffee separately. It is because making your own CBD coffee is much better for safety, and the best CBD infused coffee. The concoction can be from the recipe that was just described above. This way you can make your coffee with your own safe and steady hands. No unnatural processing, in this case, is used for mixing the CBD and coffee. 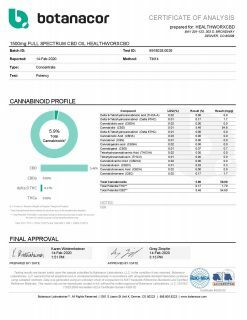 For quality and safe CBD oil, you can try our brand (Try The CBD) for the best CBD infused coffee to brew. You know now that coffee and CBD mixed can provide significant benefits. You also know now that how CBD alters your brain to feel good yet does get you high. It just makes your moods better and reduces symptoms like anxiety and depression from your life. CBD also makes sure that you do not feel the adverse effects relating to heavy coffee drinking. For more information, you can contact us directly and through the website. You can call us or email us for any more queries that you might have. We take care of customers so if you have any suggestion or want to give feedback you can email us these too. 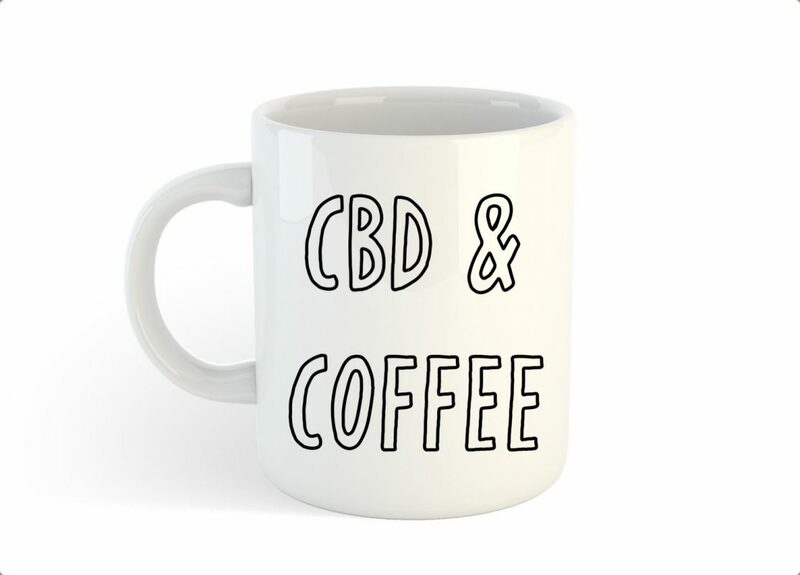 We hope you a good time to drink coffee made with CBD. This entry was posted in Lifestyle, Style and tagged BEST CBD COFFEE, BEST CBD INFUSED COFFEE, CBD COFFEE, CBD INFUSED COFFEE, HOW TO MAKE CBD COFFEE.